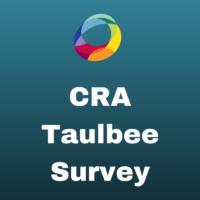 The results from the 47th annual CRA Taulbee Survey are presented in this pdf. 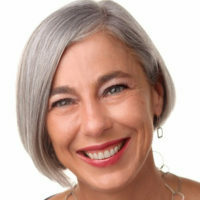 The survey, conducted annually by the Computing Research Association (CRA), documents trends in student enrollment, degree production, employment of graduates, and faculty salaries in academic units in the United States and Canada that grant the Ph.D. in computer science (CS), computer engineering (CE), or information (I). Most of these academic units are departments, but some are colleges or schools of information or computing. In this report, we will use the term “department” to refer to the unit offering the program. CRA gathers survey data during the fall. Responses received by February 9, 2018 are included in the analysis. The period covered by the data varies from table to table. Degree production and enrollment (Ph.D., Master’s, and Bachelor’s) refer to the previous academic year (2016-17). Data for new students in all categories refer to the current academic year (2017-18). Projected student production and information on faculty salaries are also for the current academic year; salaries are those effective January 1, 2018. We surveyed a total of 281 Ph.D.-granting departments; we received salary responses from 171 and main survey responses from 168, for a total of 181 departments responding to one or both parts of the survey. This is similar to last year’s 183 respondents, although the overall response rate of 64 percent is lower than last year’s 68 percent. The response rates from CE and Canadian departments in particular continue to be low. The U.S. CS response rate of 77 percent is, as usual, the highest of all of the categories, although it also dropped from last year’s 80 percent. Figure 1 shows the history of the survey’s response rates. Response rates are inexact because some departments provide only partial data, and some institutions provide a single joint response for multiple departments. Thus, in some tables the number of departments shown as reporting will not equal the overall total number of respondents shown in Figure 1 for that category of department. To account for the changes in response rate, we will comment not only on aggregate totals but also on averages per department reporting or data from those departments that responded to both 2016 and 2017 surveys. This is a more meaningful indication of the one-year changes affecting the data. Departments that responded to the survey were sent preliminary results about faculty salaries in December 2017; these results included additional distributional information not contained in this report. The CRA Board views this as a benefit of participating in the survey. Degree, enrollment, and faculty salary data for the U.S CS departments are stratified according to: a) whether the institution is public or private; and b) the tenure-track faculty size of the reporting department. The faculty size strata deliberately overlap, so that data from most departments affect multiple strata. This may be especially useful to departments near the boundary of one stratum. Salary data is also stratified according to the population of the locale in which the institution is located . These stratifications allow our readers to see multiple views of important data, and hopefully gain new insights from them. In addition to tabular presentations of data, we will use “box and whisker” diagrams to show medians, quartiles, and the range between the 10th and 90th percentile data points. 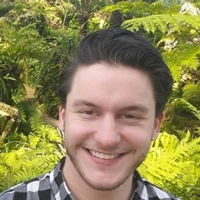 For the first time this year, we requested information about supported master’s students. The information collected is comparable to that about supported doctoral students, which we have been collecting and reporting for many years. The results are reported in the section on Graduate Student Support. Also in this year’s report, we provide a summary of course-level enrollment data. We began collecting this in last year’s survey to monitor continuing changes after the publication of the Generation CS report. This data helps us understand enrollment trends at a somewhat finer level of detail than the aggregated data we have been gathering previously. We thank all of the respondents to this year’s questionnaire. The participating departments are listed in the pdf. CRA member respondents will again be given the opportunity to obtain certain survey information for a self-selected peer group. Instructions for doing this will be emailed to all such departments.